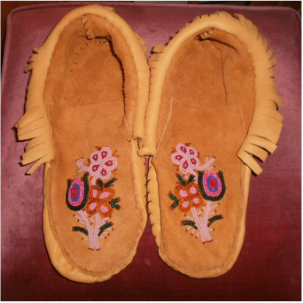 Moccasins protect the foot while allowing the wearer to feel the ground. The eastern Indian tribes wore soft-sole moccasins, for walking in leaf-covered forest ground. 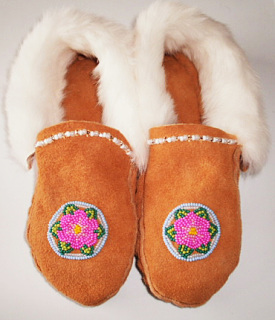 You now can order your Traditional Handmade Moccasins from Victoria BC. 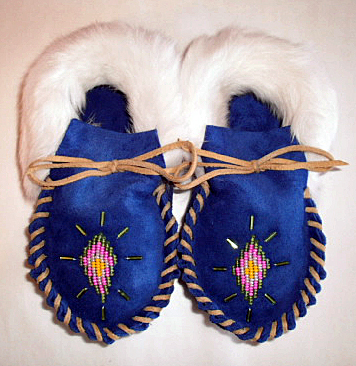 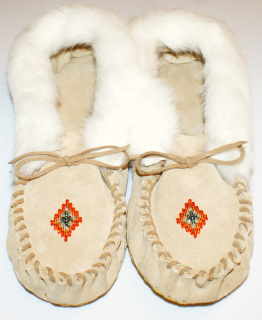 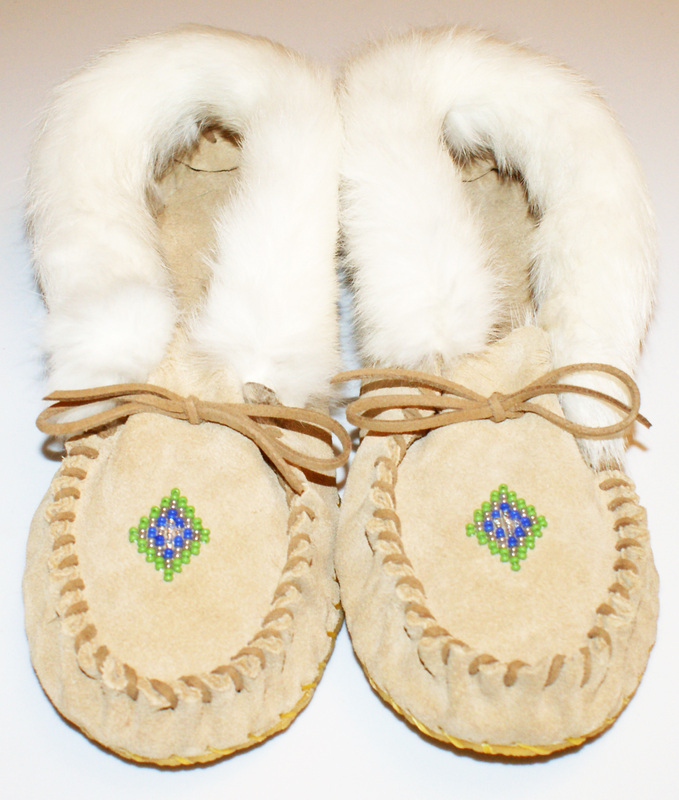 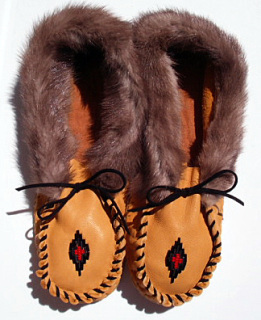 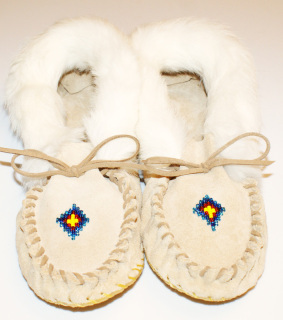 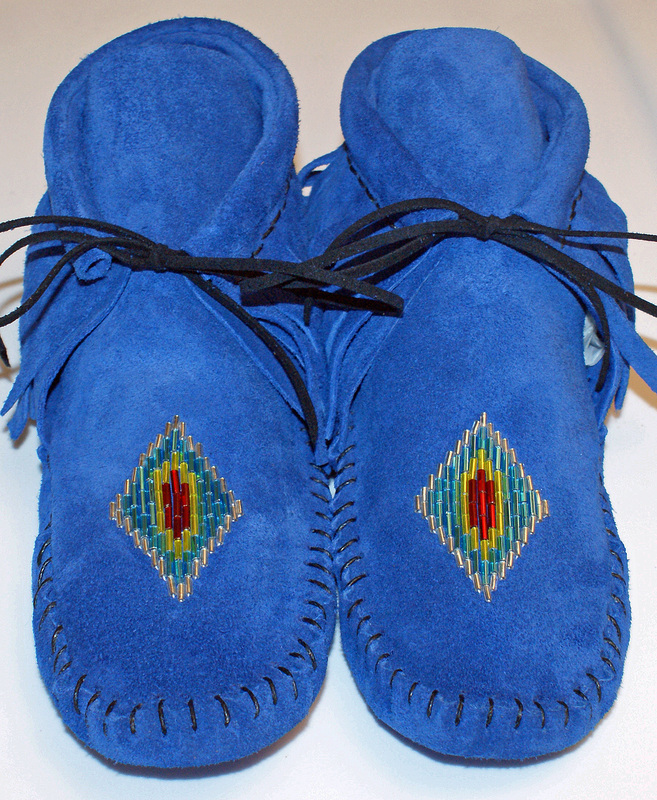 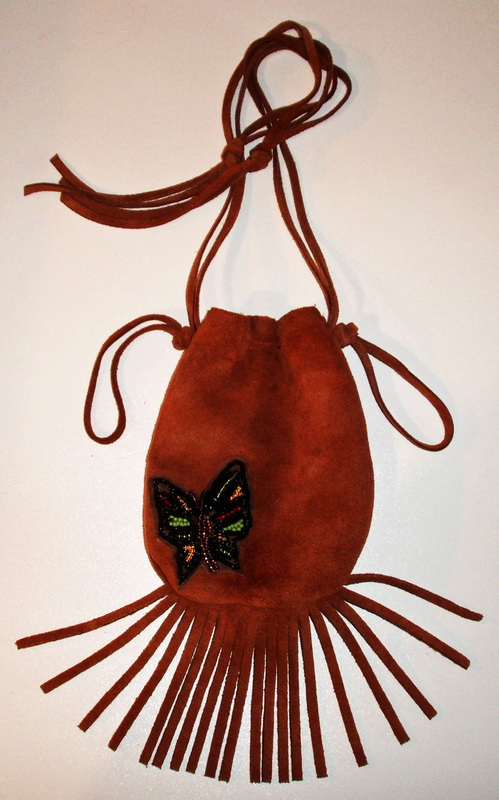 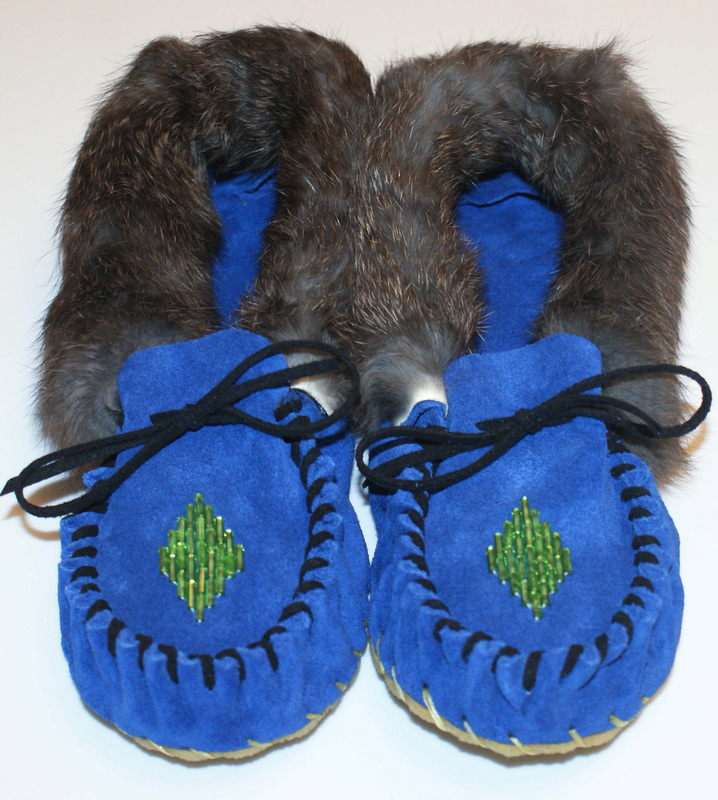 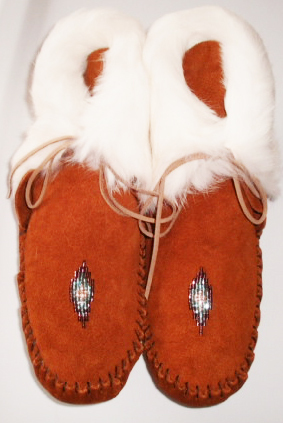 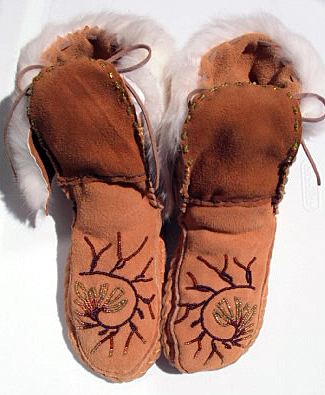 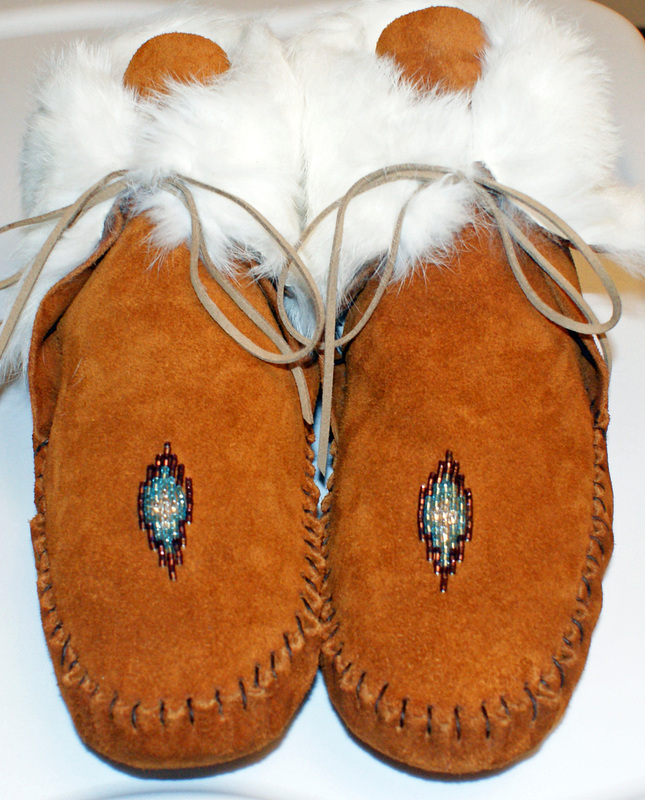 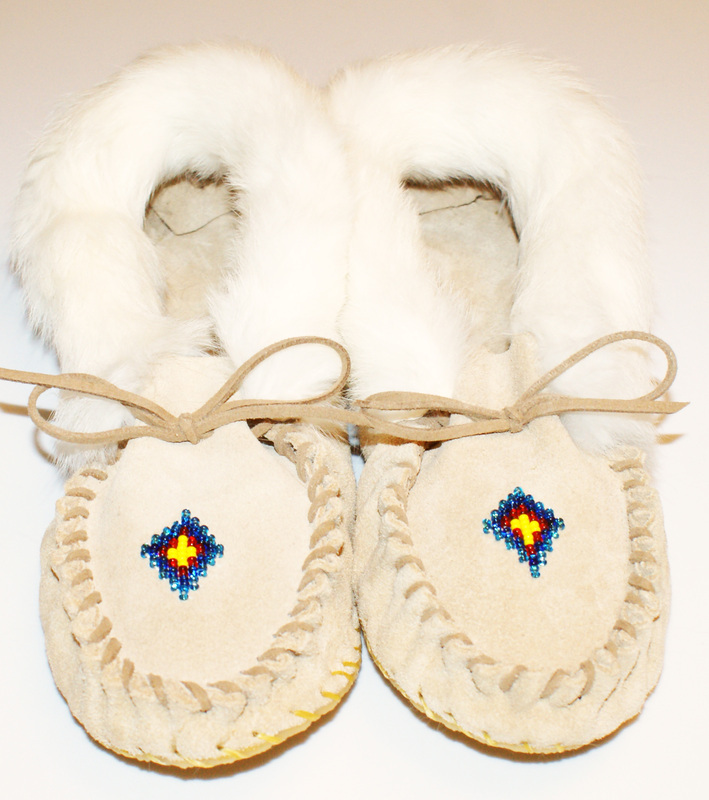 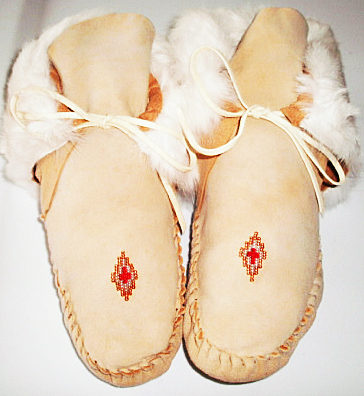 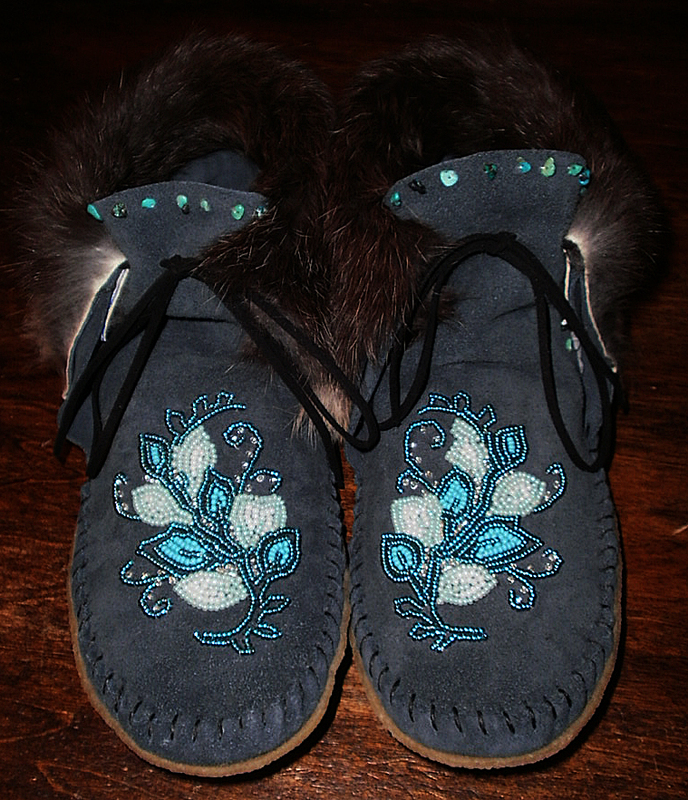 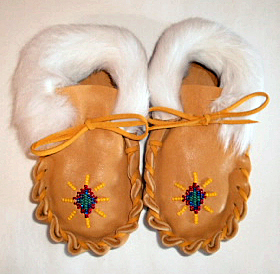 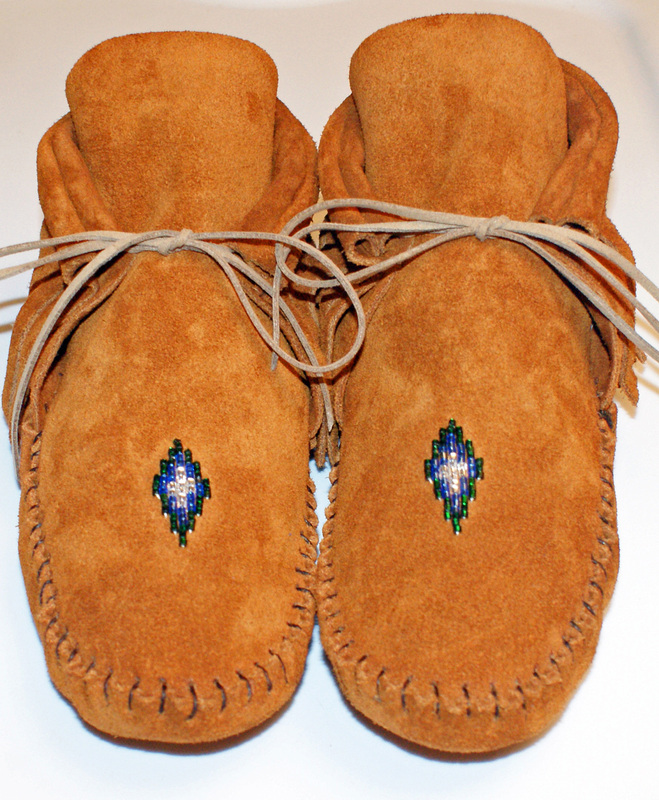 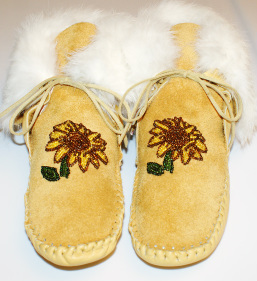 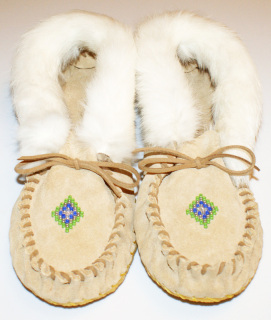 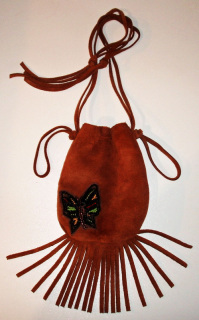 The recycled materials I use to make these moccasins are top quality deer, moose or various colors of Cow Split Suede. 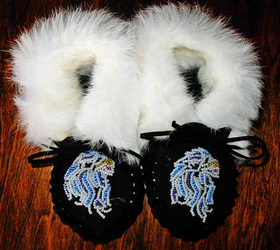 You can choose three colors of beads for the tradition bead pattern and your preference of rabbit fur, fringe or plain ankle border for the cuff. 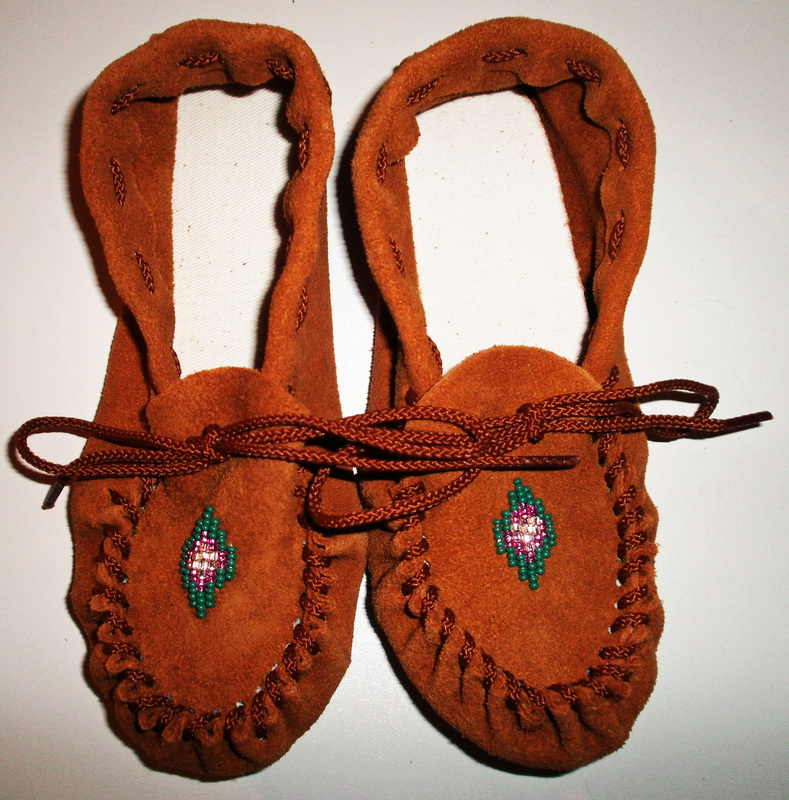 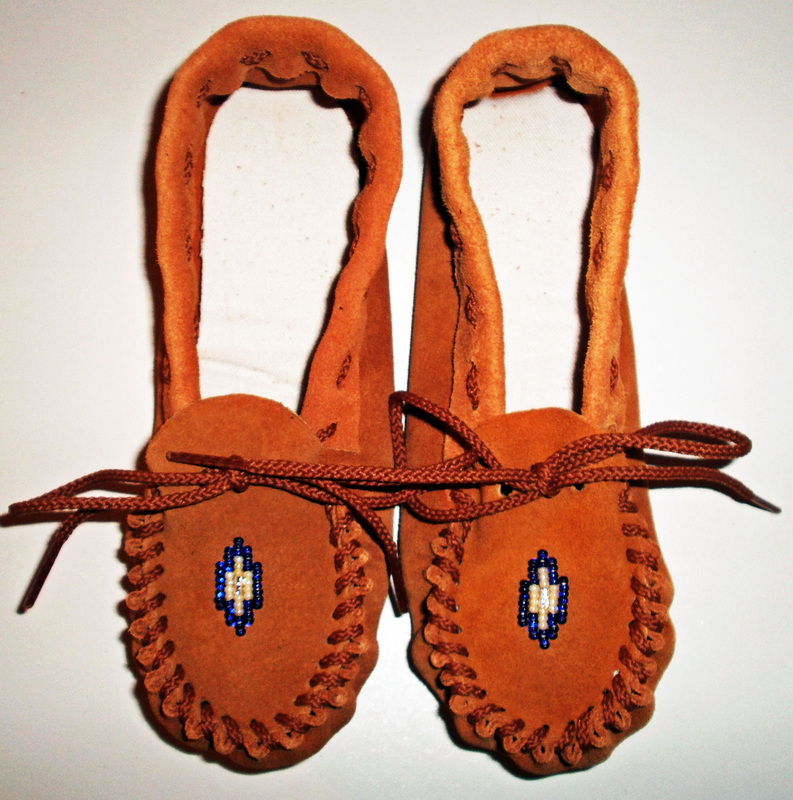 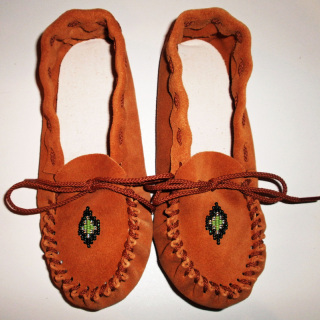 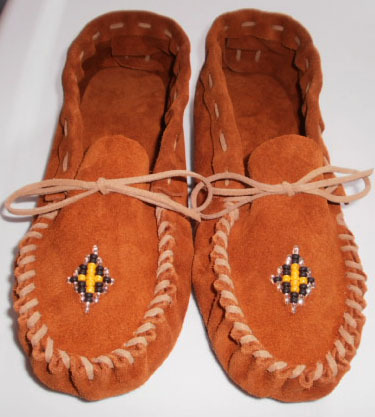 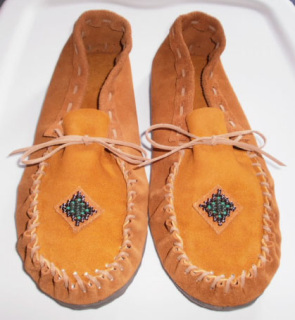 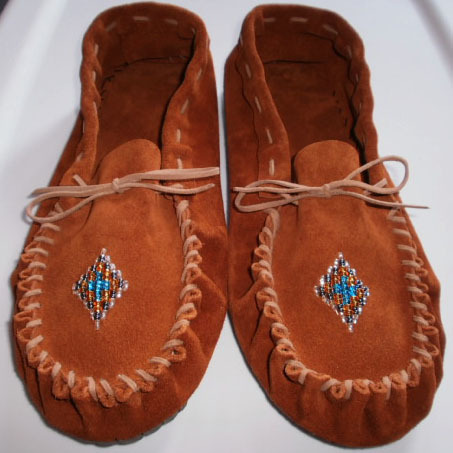 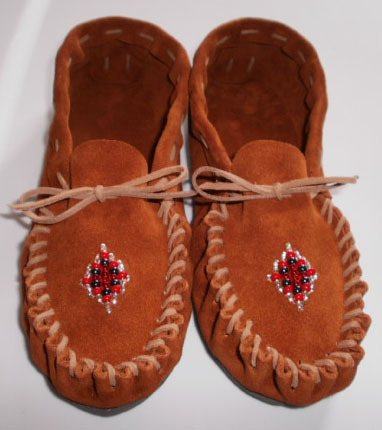 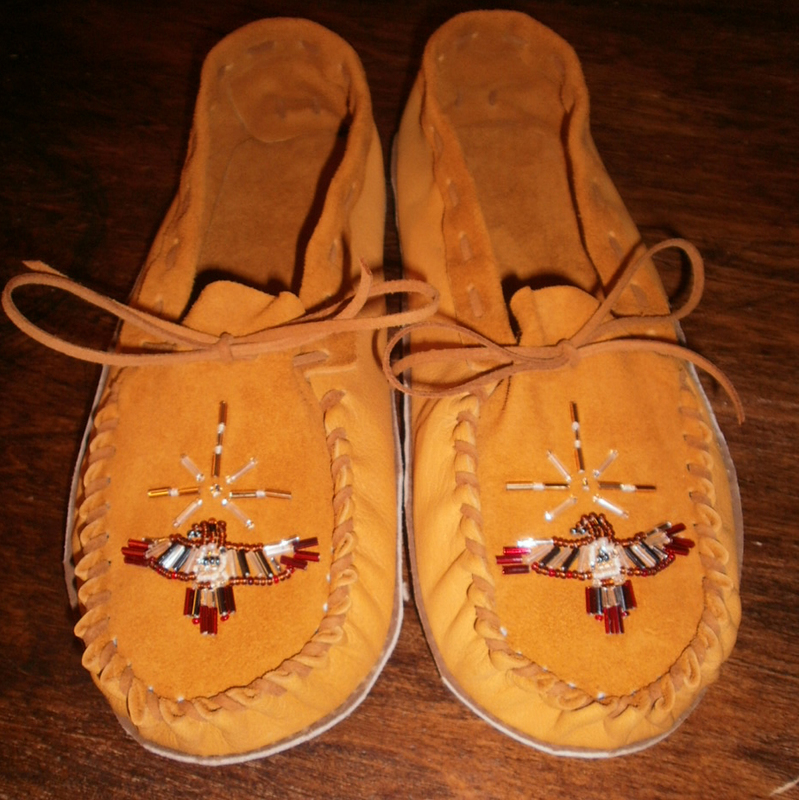 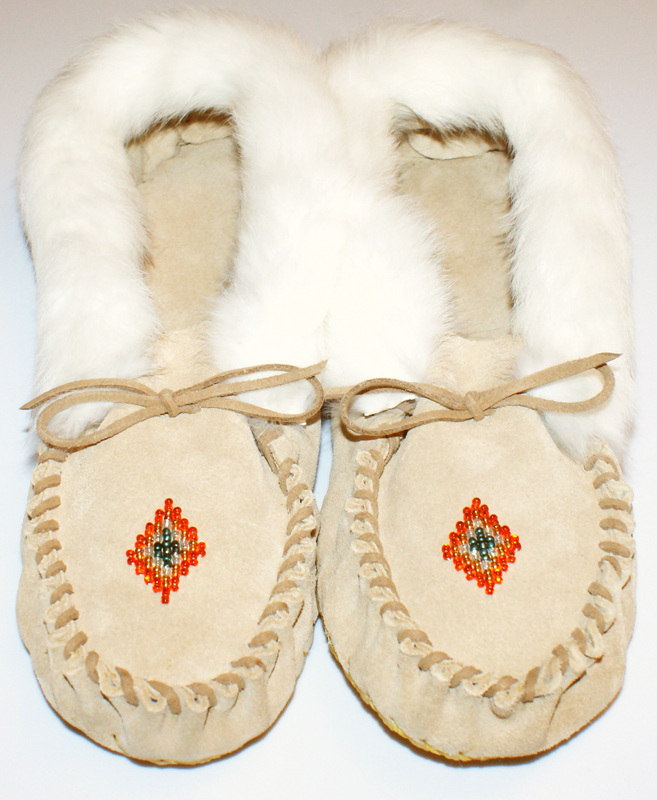 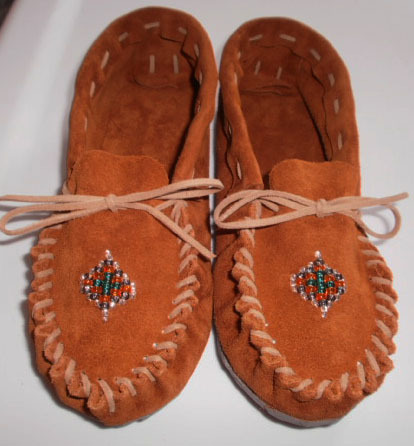 Traditional Handmade Moccasins can be ordered right away through pay pal, MasterCard, Visa, American Express. 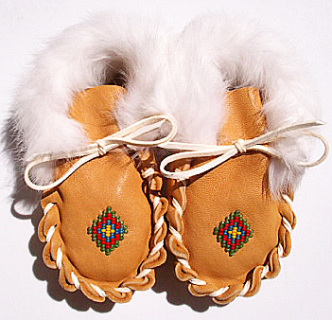 Just email me at trenabeer@shaw.ca, or with the email option below to process your order. Please allow 3 weeks to complete your order and shipping time. 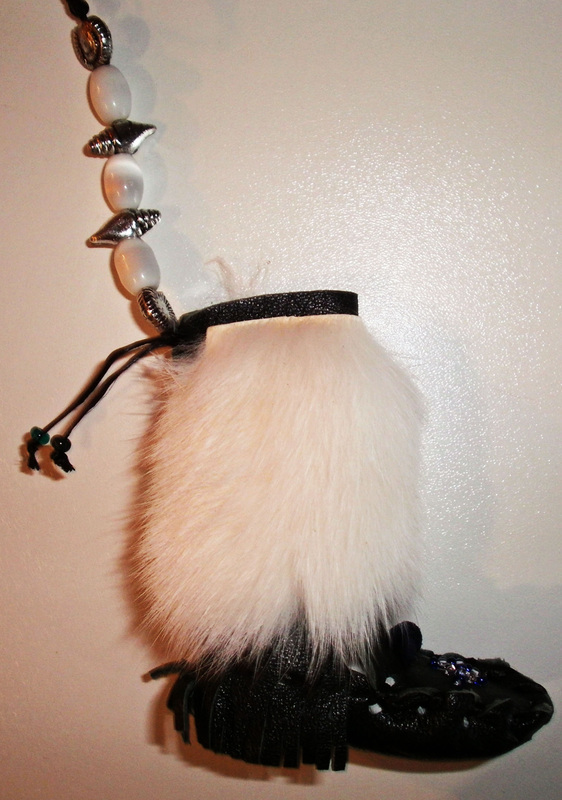 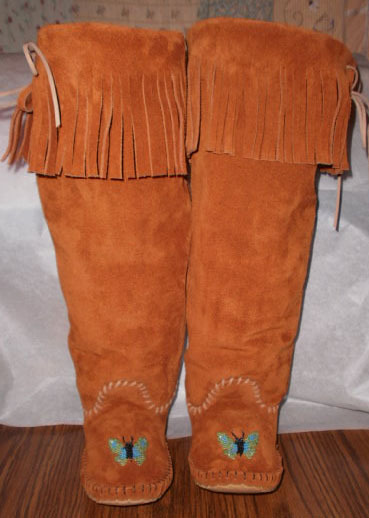 *Get a quote on Custom Orders* Just email me at trenabeer@shaw.ca or with the email option below, with your choice beading pattern, your choice of material (deer leather, moose leather, or cow suede), and your choice of rabbit fur, fringe or plain ankle border for the cuff. Beading is my passion and I put my heart and soul into each pair. 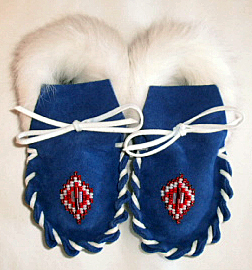 Please Contact me at trenabeer@shaw.ca with any questions. I can't wait to get started on your custom order!! A natural crepe sole made from tree pulp is included. 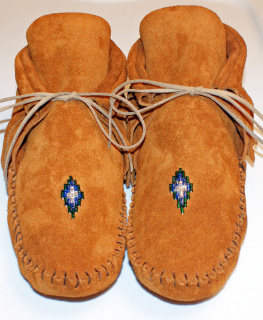 $25 extra for leather soles. ​Payment can be made through e-transfer. 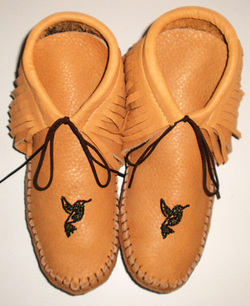 Natural Crepe Rubber Sole - made from tree pulp, included in sizes One year old and up. 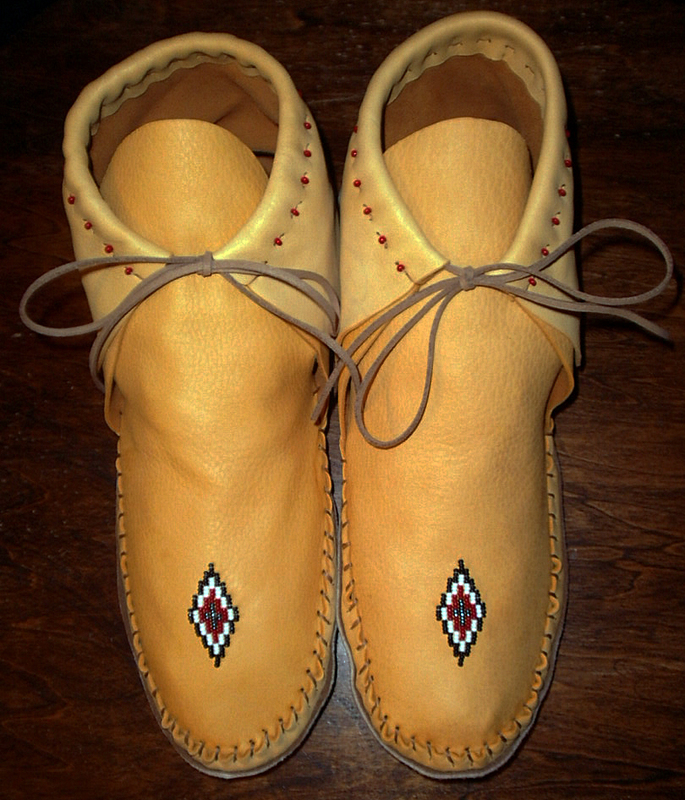 Thick Leather Sole - a cow split hide. Suede scout moccasin with traditional beading. 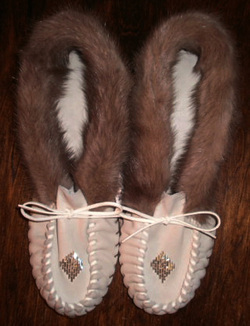 Rabbit fur is optional. I started making moccasins in 2010, and I currently sell them at Bastion Square Market in Victoria BC, Canada. 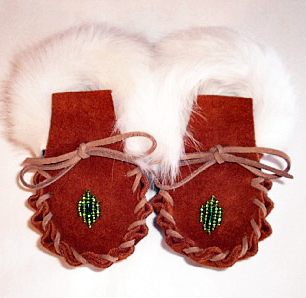 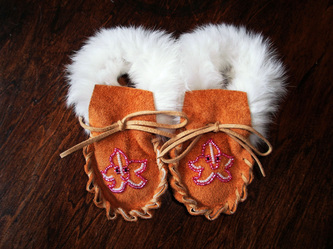 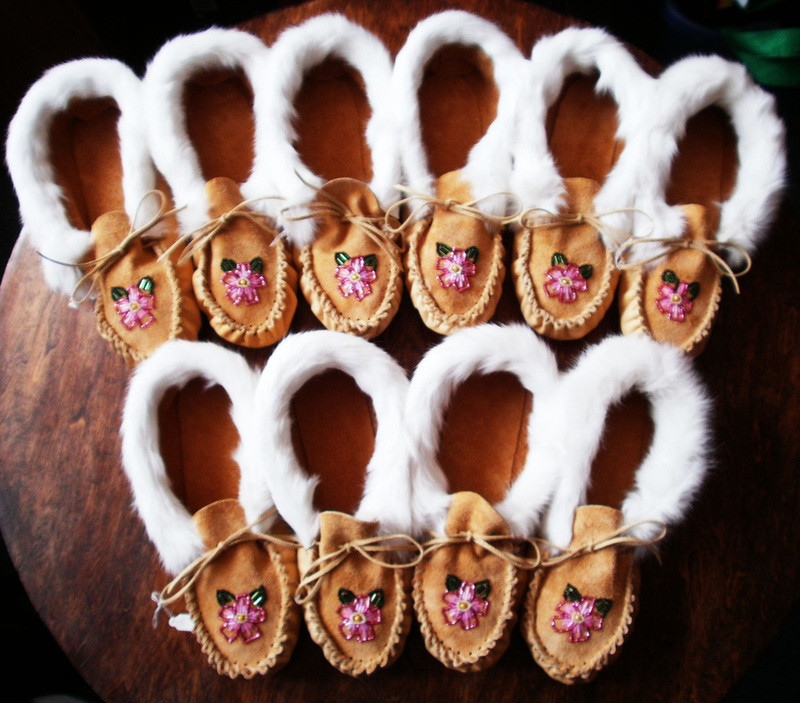 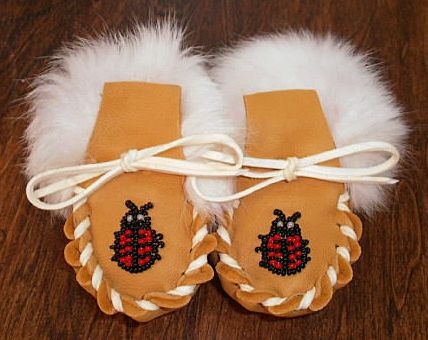 I started by making mini ornamental hanging moccasins and footwear for newborns up to two-year old. 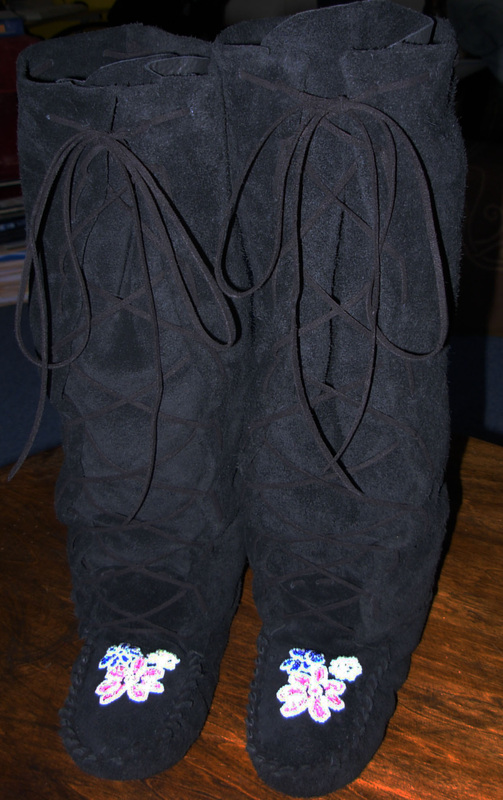 Then I began making adult moccasins in different styles: Scout, Inca boot, and Metis patterns. 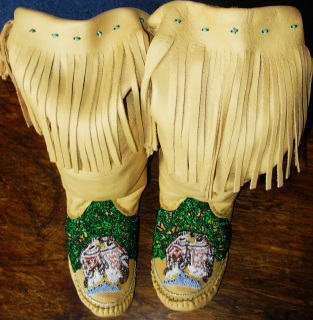 I also make both fringed boot and Plain man boot patterns. 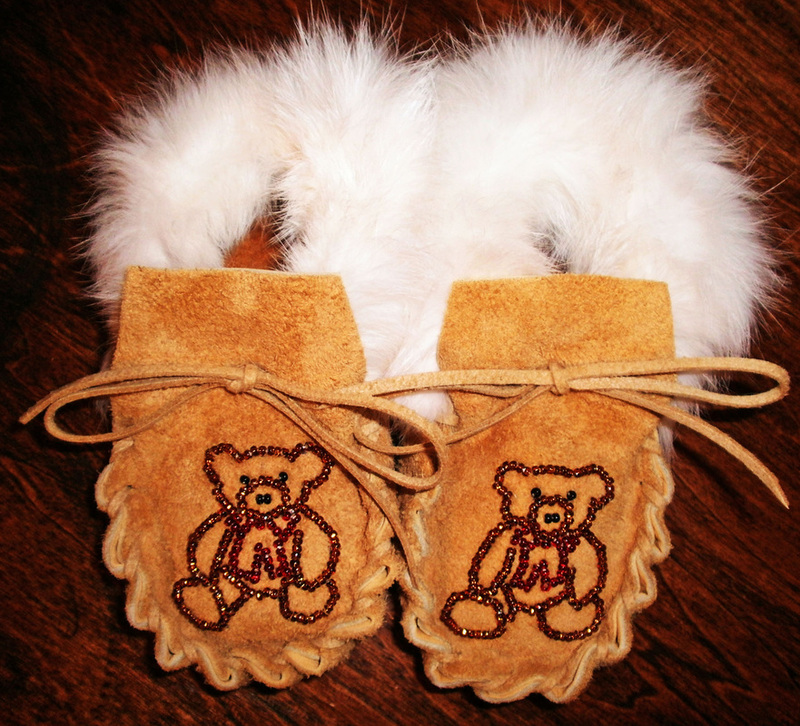 My newest addition are the moccasins for children aged 3 years+. 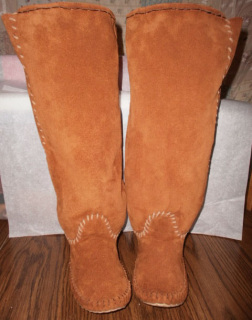 My materials are recycled deer, moose, sheep (with fur on) and cow, hides and rabbit skins left behind by hunters who are eating the meat but don't know what to do with the hide. 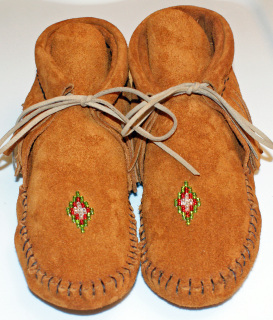 These moccasins will last a long time, they are a good value. My passion is beading and I can bead any pattern you want on the moccasins, The sky’s the limit!, My goal is for everyone to have the moccasin experience! 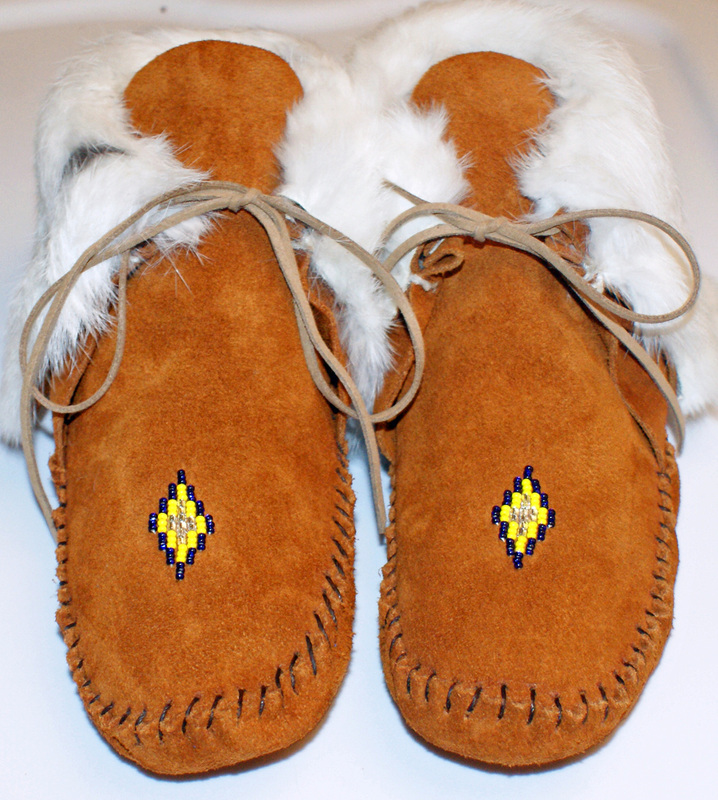 These Inca style moccasins are made from moose, deer or sheep hides and have a thick leather sole. 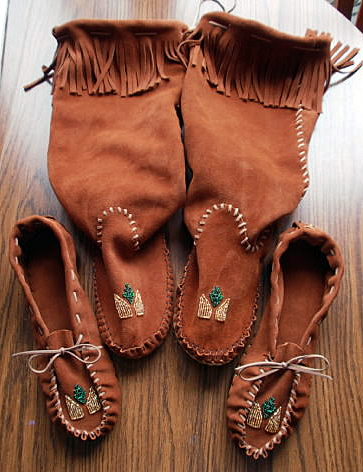 Made to fit your feet. 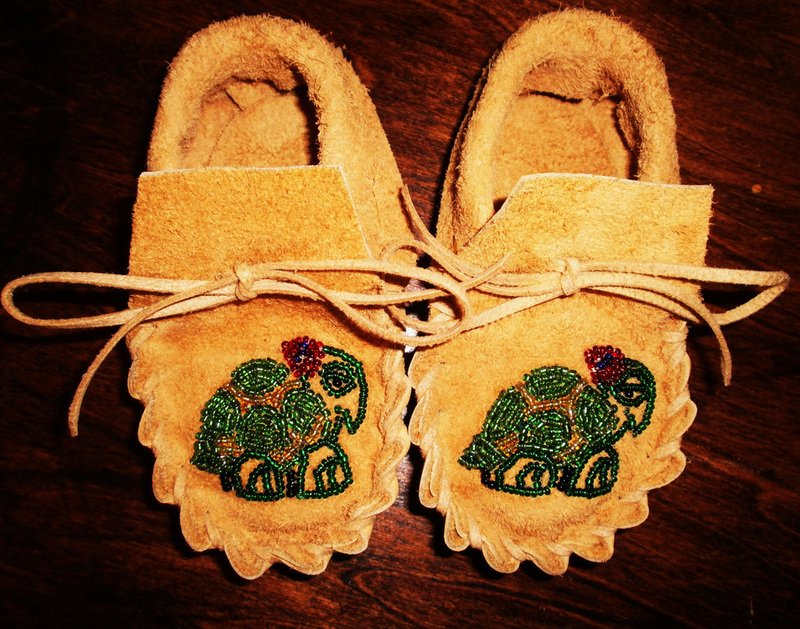 Involves tracing your feet, and creating a pattern custom to your feet. 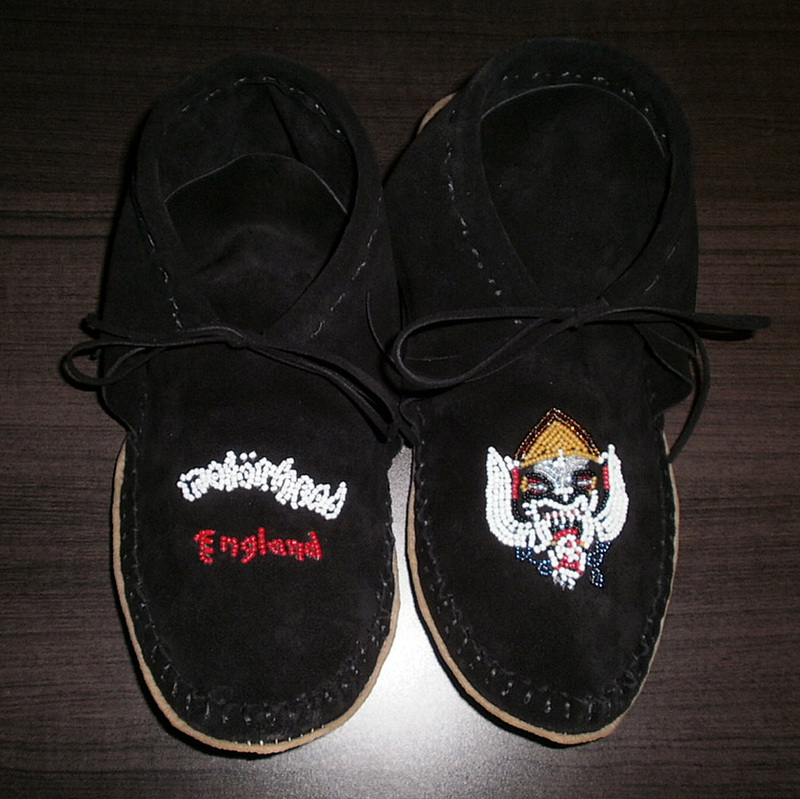 to your feet. 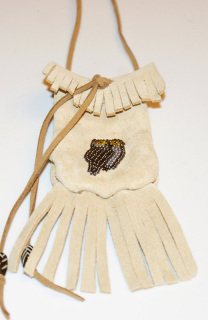 You pick your own color, type of material, and your own bead design. 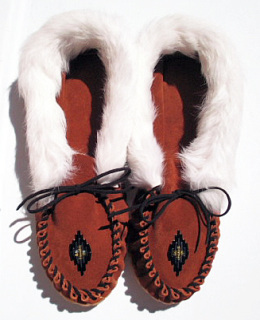 Rabbit fur is optional. 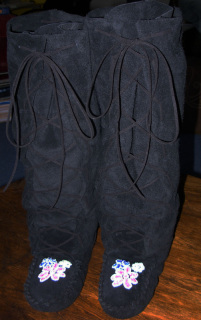 Suede Boot with no beading. 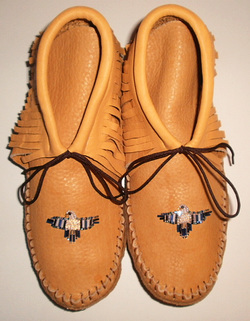 Fringe available. You pick your own color, material and your own bead design. 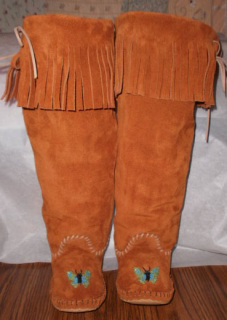 Extra long fringe with extensive beading. 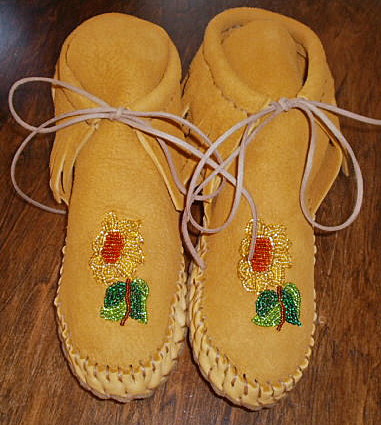 Made out of real bone beads. 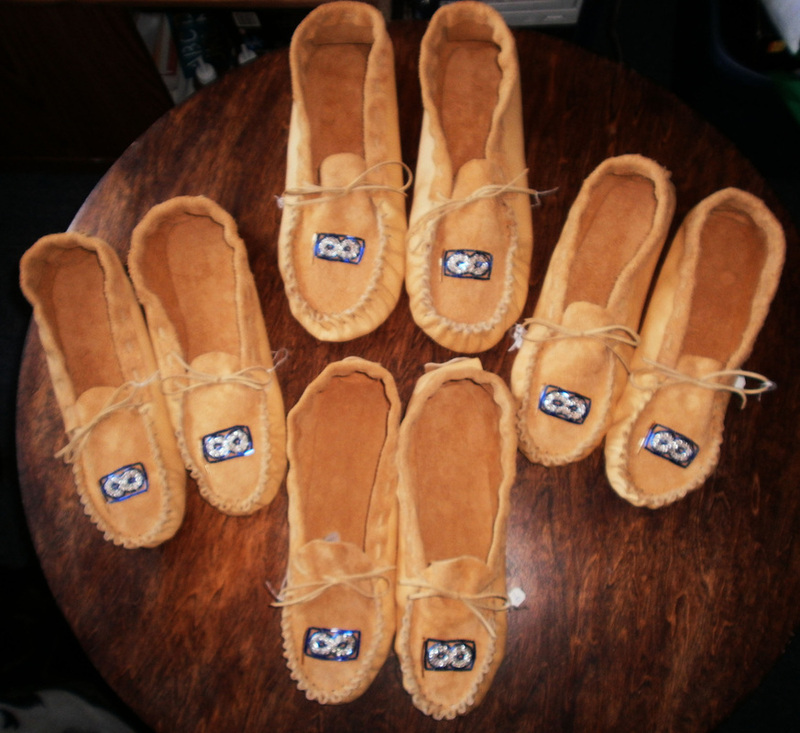 Sorry, no refunds, only exchanges! Thank-you!